NBA fans killed after playoff game. Two Golden State Warriors fans were killed in a shooting following Thursday night’s playoff game in Oakland. Two men, identified as residents of Contra Costa County, apparently were headed home from the game on Interstate 880 in a white 2010 Porsche Panamera when someone in a dark-colored SUV opened fire with a semi-automatic pistol, killing the driver, 30-year-old Christopher Beardon. The 28-year-old passenger, Terrance Marks, fled the car or was ejected as it struck the guardrail and veered into traffic, and he was struck and killed by another car. He also had been shot. Police are seeking help from fans who attended the game and studying surveillance video from Oracle Arena in hopes of identifying possible suspects. The victims were outfitted in Warriors gear and had ticket stubs from the game, according to Oakland police spokeswoman Johnna Watson, who spoke to local news outlets. Police do not believe it was a road rage incident based on the evidence, including the number of shots fired. The freeway was shut down for hours, snarling traffic leaving the Warriors’ season-ending 94-82 loss to the San Antonio Spurs. Oregon tennis player drowns in diving accident. The University of Oregon confirmed that tennis player Alex Rovello died in a diving accident Saturday in the Willamette National Forest. Friends and bystanders tried to rescue the man after he failed to surface in the Blue Pool at the base off the falls. The depth of the pool and the 37 degree water hampered the rescue effort. A memorial service is planned for May 18th. NFL throws Tim Tebow for a loss? The media frenzy surrounding Tim Tebow and his every action is nothing short of a circus. Every move the fellow makes is sliced and diced and served up for the rest of the world to evaluate. The talking heads on the tube can stop talking about him. He was the lead story for months while he had the come from behind streak going with the Broncos. Rumors flying around that he is being blackballed by the NFL. 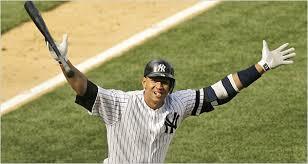 That he is not worth the media circus and associated distractions that go with having him sign a contract. On top of that, everyone knows about the throwing mechanics, the wildcat, and all the other playing ability stuff. Of course, the whole “Tebowing” thing. Frankly, I am tired of all of it. If he is being blackballed it is a good example of the machinery that is the NFL. 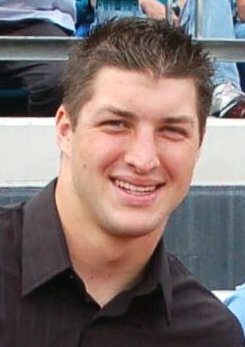 Tim Tebow won a national championship at Florida. He won the Heisman trophy. Urban Meyer was like a father to him. He was essentially a really competitive guy, a fullback, playing at the Quarterback position. He has a story. He has some leadership skills. He has his day in the sun. Accompanying all of this was the religious references every damn time the mic was shoved under his nose. Not everyone feels the same way as Tebow does. People put up with it, why? I guess, the want to see the kid play and are willing to overlook the religion stuff. Tebow is not the first to do this. Giving thanks to God for the win is nothing new. Here is what it boils down to. Any (successful) effort by an individual, intentional or not, to usurp media, divert attention to oneself, or otherwise distract from the the NFL and their business interests, the copyrighted materials, or anything owned by the NFL will get the person slammed hard on the mat. I promise you, you will be thrown for a loss. Lots of guys win games in row. Lots of guys win a playoff game. Lots of teams have a come from behind win. Why do owners want to pay Tim Tebow millions to be a distraction? In the scheme of things, Tebow is an ankle biter compared to the owners. It takes a gazillion dollars to be a franchise OWNER. With that comes certain benefits, one of which is the quiet confidence of being the only game in town on Sunday 6 months of the year. Another comes to mind. Having the Commissioner in their hip pocket. The can accomplishment almost anything they want. Money, power, ad dollars, media, (cheerleaders), a brand, control, hmmmmm, think of the possibilities. Big money media contracts make the NFL world go around. Tim Tebow is less than a cog in the big scheme of things. Just a quick look at what is trending right now in the news. Lots of stuff we should be aware of and as usual an equal amount of stuff we can do with out. 1. Reports say Katie Holmes was under pressure from her parents to break off the marriage. Whatever. Here is the real news. Suri at age 6 has a wardrobe worth $3.2 million . 2. Jillian Michaels had her house broken into and her Bentley stolen. They caught the guy who will now spend up to 22 years in State Prison. Wonder if it was worth it? 22 years? 3. Cougar Taylor Swift hugged Patrick Schwarzenegger‘s neck. You go Patrick! 4. Chris Rock and his White People’s Day comment on Twitter is causing a stir. But why? Publicity? Media vacuum? Probably just another ill advised message on social media that can’t be retracted. If you ask me, I say Chris Rock is trying for another 15 minutes of fame. Chris- once it’s out there, it’s out there! 5. F1 Championship leader Fernando Alonso topped the times for Ferrari in Saturday morning‘s third free practice session for Sunday’s British Grand Prix. It has been raining on and off. Can’t wait to see Sunday’s result. 6. Facebook stock closed up 0.26 at 31.73. Way to go Mark Zuckerberg. Hey Mark, shoot me over you Facebook Password when you get a minute. There you have it…now you know what I know! Enjoy the weekend folks. Once in a while you meet a celebrity or someone in the news. I’ve met a lot of people. Including the pleasure of meeting several Olympic athletes in my day. First time was in Los Angeles during the Olympics in 1984. I recall being at the Hard Rock in Beverly Center and interacting with a number of athletes representing their countries at the bar. I enjoyed the chatter and the company. Watching on TV is one thing. Elbow to elbow with a world class sprinter is another. You know, someone whose job it is to be fast. Faster than the best runners in the world. 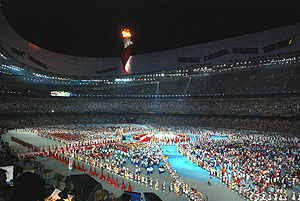 Like many fans of the Olympics, watching the opening ceremony is always amazing to me. I watched the Athens opening ceremony from a hotel room in Orlando after dodging a hurricane passing through the neighborhood back in Tampa. I won’t mention that I moved into the path of the hurricane by evacuating. I also remember the Munich Olympics of 1972. Like the rest of the planet, I watched in horror as terror took front and center. Images burned in. I recall the darkness of those days and dread their return. We live in a world today where sensibilities are challenged by threats and terrorism isn’t a once in a while thing. Personally, every time we have an event I gasp. Super Bowl, World Series, World Cup, Oscars, or anytime there is high profile gathering. It bothers me to no end. What if is too much to answer. This year, the Olympics come to London. The host of the Summer Games gets to show off their city. Preparations made years in advance all come together for the two weeks the world stops and watch the best in their sport represent their country. Run, row, throw, spar, drive to the hoop… all for the gold. The Olympics belong to the people. Keeping the people safe is another story. Enter the missiles, the military, and the protective services poised at the ready. This time around, the RAF will have Typhoons at the ready. Surface to air missiles will be perched on rooftops. Security will not be limited to the Olympic Park. This year, security measures will be dispersed across neighborhoods. Protest groups call it a “climate of fear.” The RAF calls it a necessity. No one wants violence when staging an event like this. I am hoping to experience the wonder of world class competition. Athletes placing politics on hold while they participate in one of the greatest sports events in the world. This time, brought to you by the citizens of London. Willing to share. Willing to create Olympic memories. Willing to risk everything peaceful to bring you a festival of sport. Let’s celebrate the event with a peaceful beginning, a peaceful middle, and a closing ceremony where the athletes say goodbye to competition and hello to their futures.